This is a glimpse of the Sira lessons that Sheikh Atabek Shukurov once held. In the events leading to the Battle of Badr. The Prophet (peace and blessings of Allah be upon him) was given news that an army from Mecca was coming. He gathered the Muslims and all the leaders of the tribes. The Ansar had an agreement to defend the Prophet (peace and blessings of Allah be upon him) in Medina but not outside. Instead of commanding them to fight and leading them into battle like a dictator would he held a meeting to ask the leaders what to do. The emigrants confirmed that they would fight. The Prophet (peace and blessings of Allah be upon him) asked, "O' people advise me." So Al-Miqdad Ibn Amar said, "O' Messenger of Allah, perform the command of Allah and you have our full support. I swear by Allah, we will not say what the tribe of Isreal said to their Prophet. "You and Lord go and fight; we are here, sitting." Rather we say you and your Lord fight and we are fighting with you. We swear by the one who sent you with the Truth; if you were to take us to Barrk Al-Ghamad (it is a city behind Mecca near Yemen) we would go with you. He thanked him and prayed good for him. 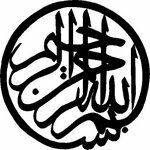 Abdullah ibn Masood (may Allah be pleased with him) said after the passing away of the Prophet (peace and blessings of Allah be upon him) that he wished to exchange all his works for the words of Al-Miqdad. O' people." Saad ibn Mu'adh said, "I reply for Al-Ansar; its is as if you mean us, O' Messenger of Allah." He replied, "I do." He said, "You truly came out for a reason and you were divinely inspired to something else. We truly believe you, trust you and testify that all you come with is the truth. We have given you our agreement and pact to hear and obey you. So go, O' Prophet of Allah, I swear by the one who sent you with the truth, if you were to immerse yourself into this sea and enter it we would go into it and no man would remain behind. Join what you will; cut off who you will; take from our wealth what you will; what you have taken is dearer to us than what you have left. I swear by the one who possesses my soul, I did not traverse this path before; nor do I have knowledge of it. We do not dislike to meet our enemies tomorrow; we are patient during war and truthful during its encounter, perhaps Allah will show that which gives you delight from us." Source Tabaqat Ibn Sa'ad and Ibn Hisham. Most of the Companions had little provisions and little in terms of equipment, some were without shoes. The Prophet Muhammad (peace and blessings of Allah be upon him) said, "Wisdom is the lost property of the believer. So let them take it wherever they find it." At-Tirmidhi and Ibn Majah. The believer has a right to wisdom because it's his lost item and he has a rightful claim to it. I remember reading a comic, in my childhood, where there was a crime fighter who was pursing some criminals. They lead him to a garbage dump, where he found something that confused him and sent him into deep wonderment. He found a rose, a red rose, bright and clean, amongst all the rubbish; growing in the garbage dump. I still wonder about this now, even in the worst of places, there maybe something good growing. Even amongst all the rubbish, something wonderful is growing; this is almost like a person. Who may have one good trait amid many bad ones but that good trait may overcome the remainder. I was wandering home the other day, as most of do, tired and dragging my feet. The day was officially over, at least the working day was! When a caption on a billboard caught my eye, this does not normally happen, but it seemed to draw my attention. It was an advert for a credit card, which of course none of us have! I did not notice this at first, as it was the words that make me think. The picture was of a man painting on an imaginary wall, almost. The picture made little sense but the caption make me ponder. It read, "Life is better, when you know what’s coming." That’s it, I know I built it up a bit but it was a simple, small caption. Life is better when you know what’s coming. This to me made perfect sense. I began thinking about how the Prophet Muhammad (peace and blessing of Allah be upon him) had spoke, at length, in hundreds of different narrations, about the events that would come after his passing away, events leading us the Day of Judgement, the day itself, Paradise and Hellfire. It has been all recorded in various books of prophetic narration. We know for instance, that Al-Mahdi will come and we know that the Dajjal then Jesus (upon him peace) will appear. There is even a narration stating that if the Day of Judgement comes and you are planting a tree, finish planting it. It is really extra-ordinary that this information has been given to us and we fail to take full advantage of it. The main advantage of having this information is that you can prepare for events that will occur because of the knowledge given to us. It's like some who knows the stock market is going to crash and he takes his money out of the market, just before the crash. Why? because when you know what’s coming you are ready and prepare yourself. It is not a shock, it is just confirmation of what you already know. We know that one day we will all die and we know, from the information given to us, what the questions will be and who will ask them. Life really is better for the believer in Allah because he knows what’s coming. He/she is calm and there no shock or panic, all there is, is calm. This is one of the meanings of Islam, to submit to the will of the creator. Admit that he knows what is better for you than you do. When you enter into this process, rebellion becomes submission. This goes right back to the angels protesting about the Humans placed on Earth as a vice-gerent. What was the answer that Allah (mighty and majestic) gave to the Angels? Please do not misunderstand me, Allah (mighty and majestic) possesses knowledge without limit, without bounds, beyond the understanding of anything, ever, this is just an example. Without knowledge events can make people say what they do not mean and do what they will regret. Knowledge can turn even the least of people into an important person. It can lift people out of the places of sin that they used to be in. Life is better with knowledge because with knowledge you'll see what is coming and it will not surprise you; when you hear the news or read a headline. You know the ways of the world and you know the rewards of the afterlife. Know that in all the nations before, believers in Allah suffered hardship from disbelievers; this is fact. So do not be surprised by what you hear, this has already happened to every nation. We know what's coming and life is better, when you are a Muslim. You know, so what are you worried about? It is all being taken care of, better than you could ever imagine! So relax and prepare by performing your obligations and any good works. There is no need to worry, it is all going to be alright.